President Nixon, we miss you. It is a sign of the times that Donald Trump has burnished the image of liberals’ heretofore most hated presidential nemesis. To the point, Trump makes Nixon look better. I’m concerned for our nation. It’s a dangerous time. We have not been here since the Civil War. By here, I mean the current state of our democratic institutions being pushed to their stomach-churning limits. Even Nixon was considered not to have been a traitor. He didn’t conspire with a foreign adversary while committing his crimes. For all Nixon’s faults, historians believe he loved his country. There is much evidence to indicate President Trump has acted traitorously and does not love his country. Monday was a bad day. FBI Deputy Director Andrew McCabe was pressured out of his position months ahead of his planned retirement, mostly due to Trump’s incessant, monthslong Twitter-badgering campaign and Jeff Sessions’ Trump-inspired demands on McCabe’s boss to fire him. Also on Monday, the GOP-controlled House Intelligence Committee, led by its disgraced chairman, Devin Nunes (R-Calif.), voted to release their memo. This document is widely believed to fabricate anti-Trump FBI bias and grossly mischaracterize issues relating to the Russia investigation and FISA warrant renewals authorized by Deputy Attorney General Rod Rosenstein. (The Foreign Intelligence Surveillance Act warrants involve the monitoring of Trump campaign adviser Carter Page’s suspicious Russia connections, originally targeted long before the president was elected.) The memo is not a statement of facts. It’s an interpretive narrative, i.e., the GOP chair’s opinion based on top-secret underlying DOJ documents. The Democrats also have their own interpretive narrative, entirely contradicting the Republicans’. The talk is that by stretching what’s left of any truth in the document, Republicans can give Donald enough cover to justify firing Deputy Attorney General Rod Rosenstein (who is overseeing the Special Counsel investigation because AG Jeff Sessions recused himself). If Rosenstein is axed, Trump can put a lackey in there to limit/impede/discredit/eliminate the Special Counsel. During a White House meeting last month, the president reportedly asked the Deputy AG where the Russia inquiry is going — which is prohibited — and repeatedly asked Rosenstein, “Are you on my team?” This constitutes the third known incidence of Mr. Trump asking top officials involved in the Russia investigation for some form of loyalty assurance (along with Comey and McCabe), which is also prohibited. The first two were fired after not acquiescing. In March 2017, Trump flipped his lid and almost fired Jeff Sessions when the attorney general recused himself from the Russia investigation. Donald always thought his boy Sessions would “protect” him from legal trouble, but the recusal changed all that. Trump sent his White House council Don McGahn to lobby Sessions not to recuse, without success. Every reasonable person in government agreed that Sessions had to recuse after his misstatements about contacts with the Russian ambassador during the transition were exposed. In May, the president fired FBI Director James Comey, admitting to the world that “this Rusher (sic) thing” was on his mind when he did it. Comey’s subsequent congressional testimony confirmed that Trump was upset with him for not pledging his loyalty and not letting the Michael Flynn inquiry go. In December, the FBI’s top lawyer, James Baker, was “reassigned,” reportedly due to pressure from President Trump. This week, Deputy Director McCabe has been pushed out. A key fact here is that all these men were people in whom James Comey confided at the time he wrote his contemporaneous notes about being strong-armed by the president (to give a loyalty pledge, to let fired National Security Adviser Michael Flynn go, and to publicly announce the president was not under investigation, to “lift the cloud” of Russia — all of which, Comey refused to do). By sidelining them, Trump apparently thinks he can impede their testimony when the time comes. He also believes he can tarnish their credibility. He might get away with the latter. Devin Nunes was a key member of the Trump presidential transition team and continues to be a White House obsequious factotum (— thanks to Jake Tapper). With Chairman Nunes’ supportive, biased, bogus memo, Mr. Trump is hoping for the slightest excuse to fire Deputy AG Rosenstein (whom he originally appointed) so the president can put a more cooperative (read: loyal) person in there. Note that another of Donald’s appointees, FBI Director Christopher Wray, is fighting Trump publicly about releasing the memo (the president must ultimately approve the release) because it is grossly inaccurate and contains classified information. It is a frightening development for our country. It’s especially frightening because as the president repeatedly and openly obstructs justice while trying to block Special Counsel Robert Mueller’s Russia probe, Donald has the full support of most Republicans in Congress. They are complicit in allowing and supporting traitorous actions by the president. 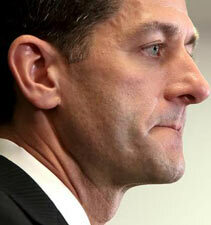 Paul Ryan (R-Wis.) is one of the most complicit Republicans and has lost any trace of remaining integrity. On Tuesday he approved the release of the committee memo saying he wants to “cleanse” the FBI: “Let it all out, get it all out there, cleanse the organization.” As speaker of the House, he could stop the shenanigans. He could overrule or replace House Intelligence Committee Chair Devin Nunes regarding his transparently unethical attempts to protect the president. Chief of Staff John Kelly comes in a close second behind Ryan. Kelly has repeatedly rebuffed the intelligence community’s urgent requests to block the Nunes memo out of grave national security concerns. Mr. Kelly has become yet another formerly virtuous public servant who has succumbed to the Trump orbit’s uniquely corrupt force of gravity. General John Kelly served his country honorably in uniform for decades. He was supposed to be the voice of reason and restraint in the White House. But he has devolved into another Trump houseboy willing to do the president’s bidding, no matter the harm to America. Nunes and his committee have been shilling for Trump since the start of the investigation. They are supposed to be part of the checks-and-balances oversight of the executive branch. But now when asked, Nunes refuses to say whether the White House was involved with producing the memo. In the now likely event they were, this would be the second time Mr. Nunes was caught conspiring with the administration to fabricate exculpatory information to help President Trump. Keep in mind that Nunes’ staff wrote this memo, ostensibly summarizing classified documents provided by the Justice Department. The original documents are so secret that the committee chairman, the ranking Democrat, and only a very few authorized staffers were allowed to go to a secure room at the Justice Department to review them. Now the FBI and Justice are fighting the release with rare public pronouncements: They “have grave concerns about the material omissions of fact that fundamentally impact the memo’s accuracy.” In other words, they believe it’s a lie. The DOJ also said the release of the memo would be “extraordinarily reckless.” This will be the first time any underlying FISA warrant information (which includes secret sources and intel-gathering methods) has been made public. We know that President Trump has consistently voiced his desire to terminate Special Counsel Mueller. We now know that Trump actually gave the order last June but only backed down when White House council Don McGahn threatened to quit over it. With the upcoming budget battle looming again in early February, Democrats should drop the DACA (part of immigration reform) negotiations for now. They should demand the incorporation of pending bipartisan legislation to protect Mueller, should Trump try to fire him. They should threaten to shut down the government again if necessary. They will have public opinion on their side, enabling them to hold firm this time. Republicans have supported this legislation in the past but are now dragging their feet. In light of the president’s attempt to do the unthinkable last June (which most thoughtful Republicans said was a red line he would never cross), Democrats should take this budget bill opportunity to hold the GOP to their commitment and protect Mueller: no budget bill without Special Counsel protection. DACA must wait. If President Trump fires Mueller, nothing will get done in Congress anyway in the wake of this crisis. It is clear that Bob Mueller is about to rain “fire and fury” down upon the White House and specifically the president. When will at least one congressional Republican of stature stand up and object to the criminality perpetuated by Mr. Trump? Sure, if Donald goes down, they might miss out on passing pet GOP legislation. But the rule of law will be preserved. Institutions of democracy will be preserved. An unchecked President Trump is causing long-term damage to American democratic institutions. It’s simple to prove how grossly immoral and unethical the Republicans’ blind support of their president has been. In this thought experiment, imagine how the GOP would be reacting if President Obama or a President Hillary Clinton had done even a small fraction of what Trump has done. On Tuesday night, President Trump gave his first State of the Union address to a joint session of Congress and the nation. The words he spoke meant nothing. The president has taken himself to a rhetorical place in which the syllables coming out of his mouth have zero significance. Americans take it for granted that he’s a perpetual liar. Americans take it for granted that he will not stick to a deal once he makes it. He will not stick to a position once he takes it. The speech was alternatively dark, sinister, mendacious, disgusting, and normal. It was repackaged Trump for prime-time viewers. The intensity of the darkness was toned down. A little. He still wants war with North Korea. He still wants the power to purge disloyalists. He still thinks most immigrants are criminals. He hailed the Second Amendment and ignored the First. Donald, you’re really hurting the First Amendment’s feelings. Notably, President Trump did not say his administration would do everything possible to secure the United States and its electoral system from Russian interference. He did not say America is committed to fighting back against proven Russian cyberwarfare threatening our democracy. I don’t have to articulate all the president’s personal and psychological faults. I’ve done so extensively in past articles. They are known universally. But Republicans are in some sort of mass hysteria. It’s kind of like in the movies when the good-hearted gambler gets in over his head and ends up doing the mob’s immoral, criminal bidding — and the gambler ultimately is able to rationalize all of it. That’s where congressional Republicans are. There’s no other way to think of it. They weren’t born evil, were they? The president’s words in his SOTU address meant nothing — no more than his words spoken in any other venue. Showmanship is all that matters to him and his supporters. The only analysis to be made is in the parsing of how much he lied or what this or that particular lie means. It is sickening and scary. On a teleprompter note, no one faults him for using one. But my God, can’t he take some time to practice and learn how to look a little more natural? It’s been a year and he still reads the teleprompter like an amateur. Here is something that does have meaning: On Tuesday, the Trump State Department announced they will not be implementing the congressionally mandated new sanctions on Russia. This is a passed bill. Only five legislators, out of 535 in both chambers, voted against these sanctions. The president was forced to sign them into law or face a sure veto-override. But now the administration says they’re “unnecessary,” that the “threat of sanctions” is enough. First, the “threat” obviously is not enough. Second, the sanctions are a punishment, not just a deterrent. Who will stand up among Republicans in Congress? And what does Russian President Vladimir Putin have on The Donald? If President Trump is successful in circumventing the Russia probe and getting away with his crimes, it will mean taking to the streets. I want to believe that when it gets clear enough even for them, Republicans will start wavering in their blind sycophantic support for the president. But I don’t understand why guys like Sen. John McCain (R-Ariz.), Sen. Jeff Flake (R-Ariz.), Sen. Bob Corker (R-Tenn.), and Rep. Charlie Dent (R-Pa.) aren’t doing this now. They’ve broken with and criticized the president in the past. They’ve exhibited some backbone in the past. Why are they invertebrate now, on the question of Trump’s criminality? Why aren’t they calling for his resignation? Note that all of these legislators have announced they are not running again.